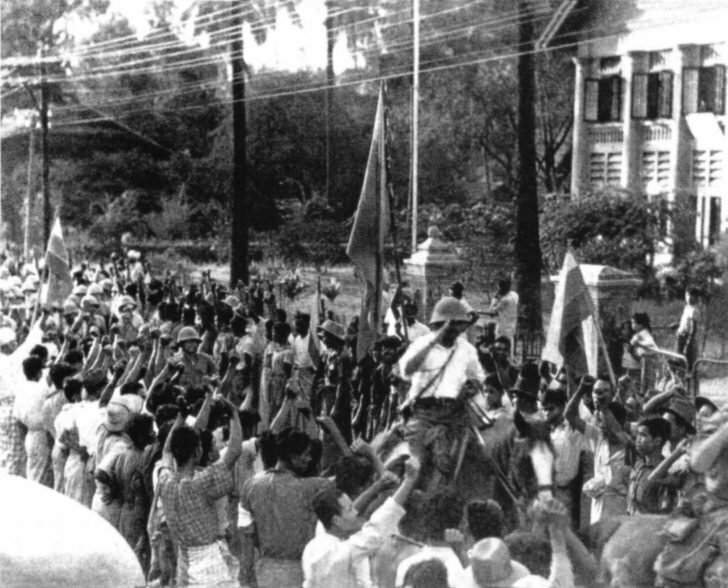 World War II in Southeast Asia: The Burmese welcomed Japanese troops entering the city of Dawei. On horseback rides Japanese officer. Although this photo was shot for propaganda purposes, in this frame of the Japanese seizure of the southern Burmese city of Tavoy, one can see that many Burmese perceived Japanese occupation as an opportunity to avoid British rule (Burma was a British colony from the 18th century).